Back in 1984, a program was started in East Central Indiana to help with student and teacher learning performance. The program is called ISTAR. ISTAR enhances teaching, schooling, and learning, and it honors senior students who have the most academic growth, and it honors teachers who have made an impact on those students. ISTAR stands for Indiana Student Teacher Achievement Recognition. The schools participating in this program are Centerville, Connersville, Franklin County, Hagerstown, Lincoln, Rushville, Tri County, and Union County. This program has been on for thirty-five years. Only the top three students that rank in the top ten percent in their classes are selected. There is a selection committee at each school that determines the selection. The student then determines which teacher has had the greatest impact on them academically. The teachers are given a plaque after a banquet, and the students honor them with a speech. The students explain in the speech how their teachers have made an impact on their school lives. On the Wednesday evening of March thirteenth, 2018, at Union County High School, three seniors were honored along with the teachers who have made an impact on the students. 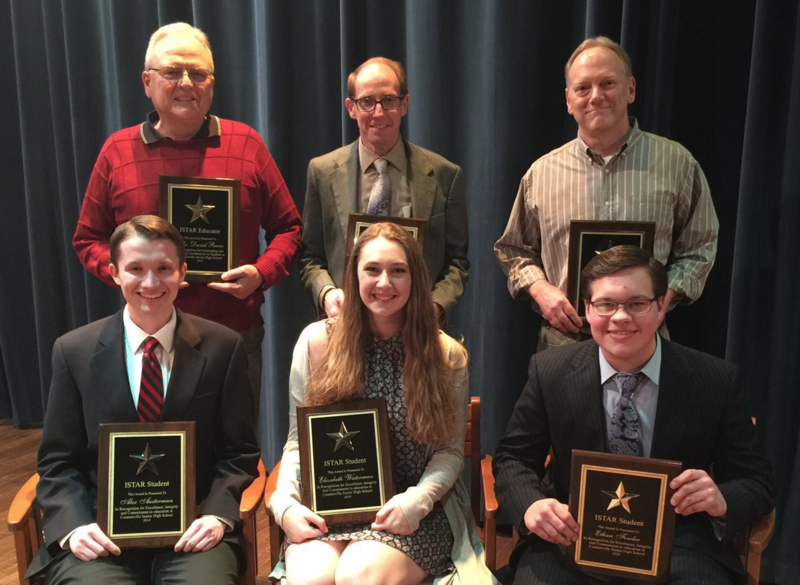 The seniors were Alex Austerman, who nominated Connersville Middle School teacher David Reeve, Ethan Fowler, who nominated Whitewater Career Center Precision Machining teacher Rick Bever, and Elizabeth Waterman, who nominated CHS Choir Director Roger Tyler. Each of the students has said something good about their teachers and how the teachers have been an impact on their life. Fowler, said the greatest impact Bever had on his life is, “his passion to succeed. His desire for the successful future of his students is inadvertently passed on to his students”.